Sandy has over 20 years of Marketing/Business Development experience in the publishing, art, and high tech industries. Sandy founded conferenceART a company that produces corporate conferences, seminars, forums and brokerage events around the world for customers such as Orange Global, as well as many start-ups in Israel and the UK. At last Sandy decided it was time to digitize our world and today is totally driven to make a change! Daniel is a hi-tech entrepreneur with over 15 years experience in product management and software engineering. Daniel is the former CEO and founder of Neetal, a product on which AllSeated is based. Daniel holds an MBA from the Edinburgh Business School and a BA in Computer Science and Economics from Tel-Aviv University. Arye is a Graphic and New Media designer with over 15 years of experience working for companies in Israel and in the United States. Arye specializes in branding, User Interface design, illustration, and animation and has provided AllSeated with its distinctive look and easy-to-use interface. NYFF INVESTORS Cal built IDEKO Productions into a leading events company serving national clients both domestically and internationally. The company brings an extensive inventory, skilled & technical know-how and a deep expertise in event executions to its clients. Cal has produced hundreds of events on a national level and has built an organization of successful event professionals and counts many of the largest US companies as his clients. Herbert is an experienced venture investor and "company builder" with over 10 years of investment experience. Herbert has 15 years of technology and business leadership experience both as a serial entrepreneur and an operating executive. Herbert's prior accomplishments include: CEO & Founder of RouteScience Technologies (acquired by Avaya), VP/GM of Service Provider Network and Application Software Business at Cisco Systems, and CEO & Founder of NETSYS Technologies (acquired by Cisco). Arthur has enjoyed a reputation as one of New York's most talented food and beverage professionals, as well as an unparalleled artist in the arena of special events. His hospitality company, Backal Hospitality Group (BHG), serves as a vehicle through which to implement his hotel, restaurant and lifestyle projects, while his event management firm, State of the Art Enterprises, Inc., has provided Backal with a personal creative event outlet - stamped with his innovative, signature style. A native of Trinidad, West Indies, Warren began his career with Puff ’n Stuff Catering in 1985 when it was owned by his parents Susie & Glenn. Back then he worked in the kitchen, drove the trucks and served the clients. Warren left the company in 1994 on a mission to broaden his experience and hone his business savvy. He did so through successful tenures at Walt Disney Parks & Resorts, The Disney Institute and Scott Kay Platinum. But in 2002, he came back. In February 2003, Warren purchased the company from his parents, and the rest, as they say, is history. Ron Ben-Israel, the chef and owner of one of the country’s finest couture cake studios, started his confectionery adventures after a 15-year career as a professional modern dancer. Upon retiring from performing with companies spanning three continents, he used his art schooling and ballet training to master the discipline of pastry arts. In addition to an extensive list of private clients, many of New York's premiere hotels are also devotees, including The Pierre, The St. Regis, The New York Palace, The Ritz-Carlton, The Waldorf Astoria, The Four Seasons and Mandarin Oriental. Albert Manzo is an American reality star and the husband of Real Housewives of New Jersey star Caroline Manzo. Albert is the co-owner/co-director of The Brownstone, a banquet facility in Paterson. Albert married Caroline in 1984 and made his first appearance on TV during the first season of RHONJ in 2009. Hank Lane bands have performed at many notable events including Sean (Diddy) Combs' 35th birthday bash, at White House functions, and the weddings of celebrities such as Vera Wang, Kenneth Cole, Ivanka Trump, Eddie Murphy, and Donald Trump. In 1987, Hank Lane expanded to meet the growing demand for DJ entertainment by forming More Than Music, a DJ and party entertainment service. In 1996, Hank Lane Music acquired Fusion Lighting, a lighting, event design, and audio-visual company, which visually enhances the performance of both the company's bands and their DJ's. Hank Lane Music is the exclusively recommended music supplier for an impressive list of the New York areas leading hotels and catering facilities including Cipriani 42nd Street, Garden City Hotel, The Pierre, The Plaza, The St. Regis, and the Waldorf-Astoria, to name just a few. Marcia Selden Catering Robin Selden is the Managing Partner & Executive Chef of Marcia Selden Catering & Event Planning, the" it" caterer of Connecticut for nearly 38 years, orchestrating premier parties and weddings throughout the tri-state area; cooking for commanding companies, countless celebrities, and political dignitaries including 3 former US Presidents. They have offices and operations in Stamford & Greenwich Connecticut as well as an office, kitchen and venue in New York City. 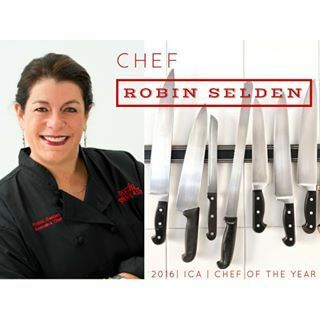 Robin is the current International Caterers Association President and was named their Chef of the Year in March at the Catersource conference. She was also named as one of the Innovative Chefs of 2016 at the Greenwich Food & Wine Festival and was the only catering chef and the only woman chef. David Anderman is the former COO and General Counsel of Lucasfilm, George Lucas’s entertainment empire, where he spent 16 years with teams that created groundbreaking innovations in 3D, Virtual Reality and visual effects. After negotiating the sale of Lucasfilm to The Walt Disney Company and integrating the companies, he became the Chief Business Officer and General Counsel of Jaunt XR, a pioneering company in the burgeoning VR/AR/XR industry. 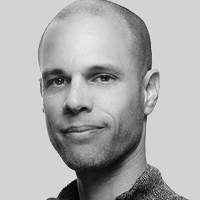 He now serves on the advisory boards of a number of leading startups creating the next generation of immersive hardware, software, and content. Senior Director, Pricing Strategy & Product Marketing at LinkedInJosh Gold has a decade of experience helping some of the most innovative, disruptive companies (e.g. LinkedIn, Trulia, PayPal, LegalZoom, Lithium) and established market leaders (e.g. HID, Cisco, Ariba, Ancestry, PTC, Advent) accelerate profitable growth. As Senior Director of Pricing Strategy & Product Marketing at LinkedIn, he’s focused on driving customer value and sustainable growth globally across all of LinkedIn's $4B+ businesses. Josh also advises early and late stage companies on product, monetization, and go-to-market strategy. Magma Venture Capital is a leading Israeli venture capital firm specializing in early-stage investments in communication, semiconductors, internet and new media. Managing Partners Yahal Zilka and Modi Rosen founded Magma in 1999. Since then the firm has sought out innovative companies, and has guided many to successful exits, such as Waze and Provigent.